With Valentine’s Day and Mother’s Day right around the corner, online flower delivery brands are gearing up for the busiest time of year. Let’s be real… to a last-minute flower shopper, who’s sweating about being the only fool who didn’t buy his or her mom flowers on Mother’s Day, the first number they come across will do. All that matters is that a gorgeous bouquet of flowers shows up on-time and intact... not who delivered them. Combine similar offerings with an uber-high conversion rate (typically between 15-20%) and this means you’ve got yourself an all-out battle for TRAFFIC. Chances are this “blossoming realization” isn’t news to you, so let’s trim the dead leaves and cut to the chase. We planted some fresh seeds in DemandJump’s AIM (Artificial Intelligence Marketing) platform, added a little water, sunlight, and love, and watched the insight roses bloom — thorns and all. We specifically wanted to dig up some organic search terms generating unexpectedly high traffic in the online flower shopping space. 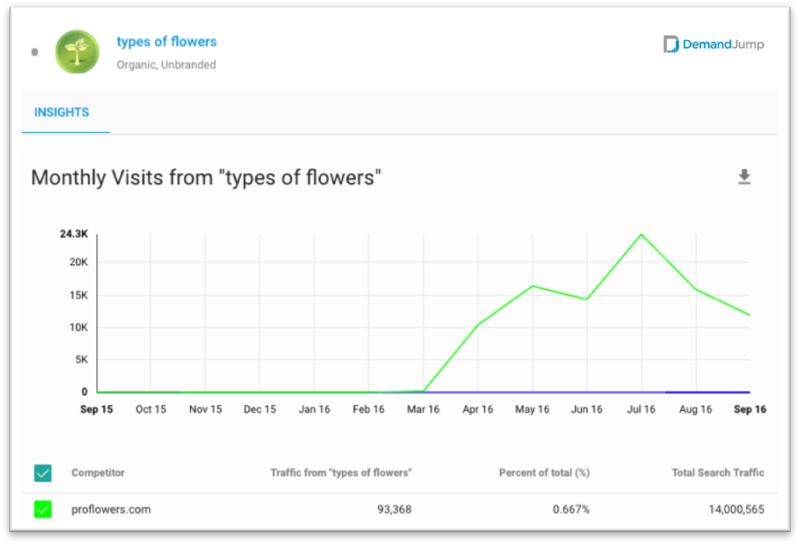 One company, ProFlowers, enhanced their search efforts and proved skillful at generating leads through organic keywords during these peak periods. Below we have listed three organic search terms that drove over 200K visits to ProFlowers during May of 2016. 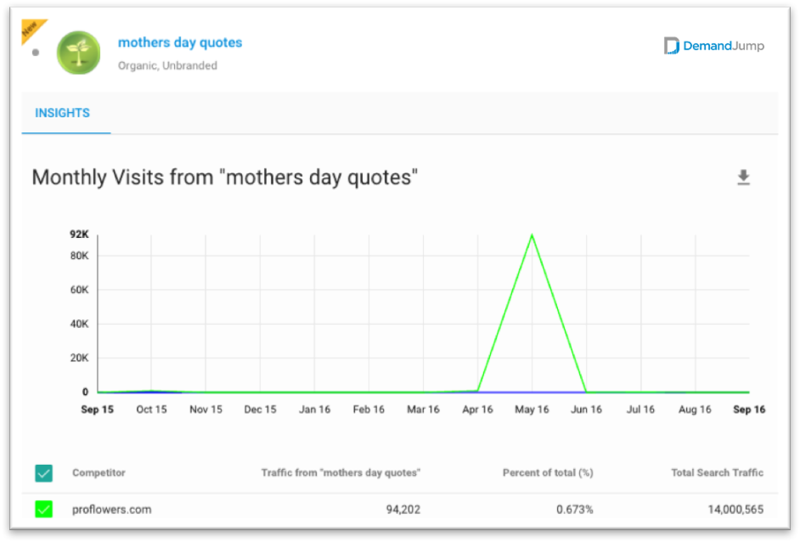 The term ‘Mother’s Day Quotes’ was a traffic and lead generating machine for ProFlowers during May of 2016. 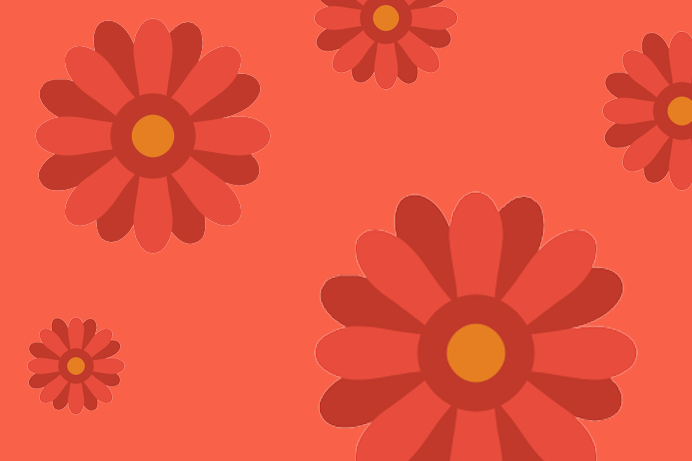 This simple key phrase from their blog post “80 Mother’s Day Quotes to Show Mom You Care” generated more than 100K visits for ProFlowers in a single month. What’s more is that ProFlowers has exclusivity over this term. Not even one of their competitors generated a single lead from “Mother’s Day Quotes” during this important, revenue-generating period. 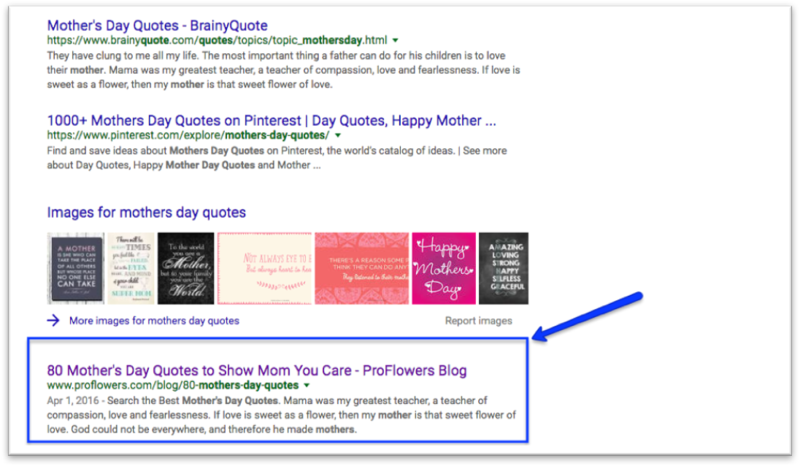 And, a quick Google search will show that ProFlowers is still ranking in the third organic position for the query “Mother’s Day Quotes” nine months after the holiday is over. The body of the article is simply a list of quotes with attribution. This is a great example of how content like is very easy to create and can generate thousands, or even hundreds of thousands of leads. “Types of Flowers” is another search term that is dominated by ProFlowers. DemandJump traced this term back to a ProFlowers blog post titled “151 Types of Flowers Common in the U.S.” Through September of 2016, the term generated more than 90K visits for ProFlowers, while other floral delivery brands are not capturing any new customers from the same term. By repurposing their content, ProFlowers can capture even more leads through additional organic search terms. 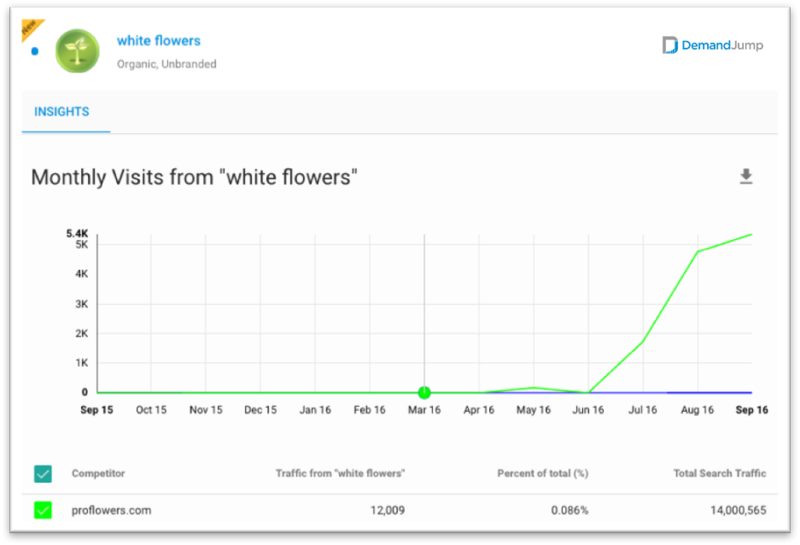 For example, they generated 12K additional visitors from the search term “white flowers”. And here they generated 4K more from “red flowers”. Even today, 14 months later, here are over 12 individual links, each with unique keywords, that are likely to show up in a Google query for “Types of Flowers”. Here’s a unique example where you can really see clever marketers at work. 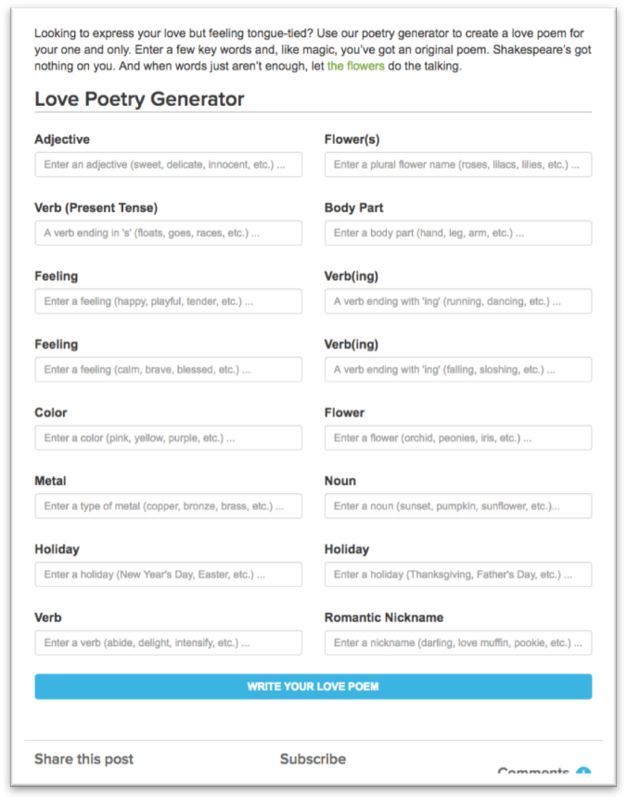 The term “Poem Generator” would never intuitively be associated with “Flower Delivery”, and yet some sharp * person at ProFlowers has keen understanding of what their customers are actually searching for, and how they bundle their Valentine’s Day purchases. To stay out of the doghouse, lovesick kids pen tomes to send along with flowers to their sweethearts. 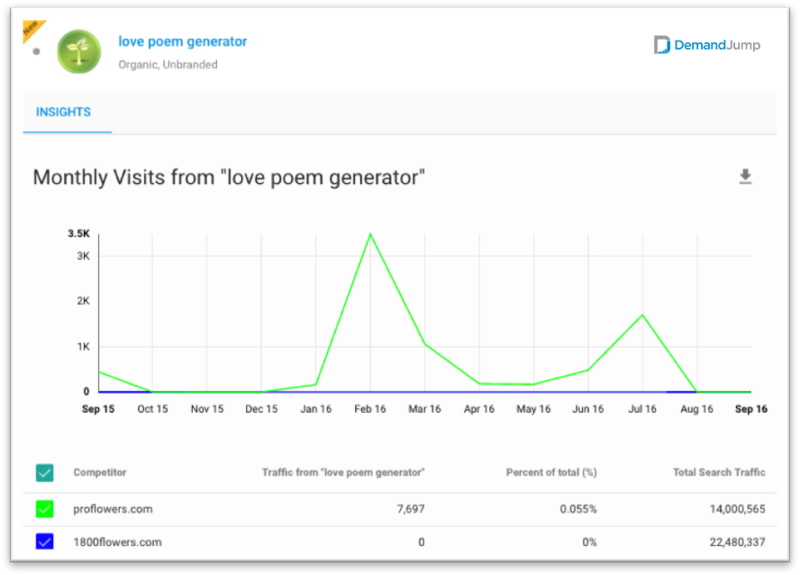 With this insight, ProFlowers leveraged a “Love Poem Generator” that drives more than 45K annual visitors to their site. Last year, this popular search term hit its traffic peak in February and March. 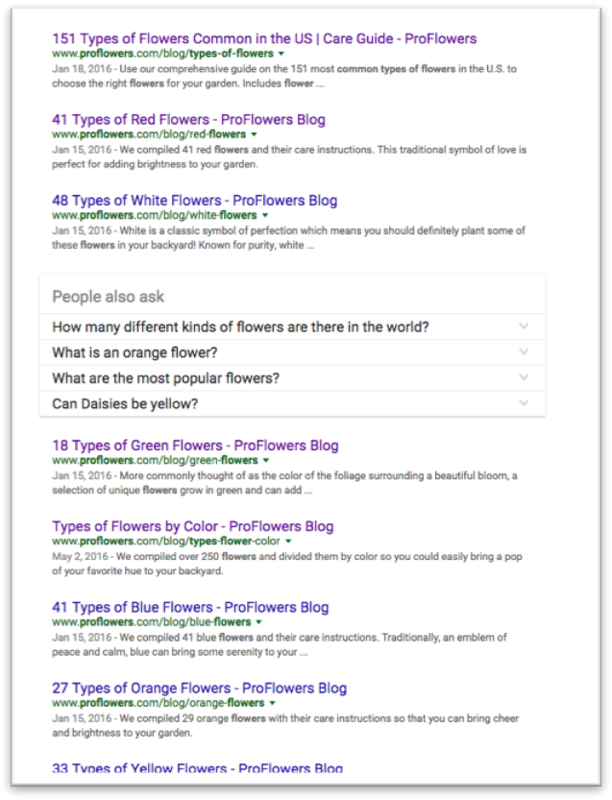 In addition to the exact match term, there are also several related searches that generate qualified traffic for ProFlowers. 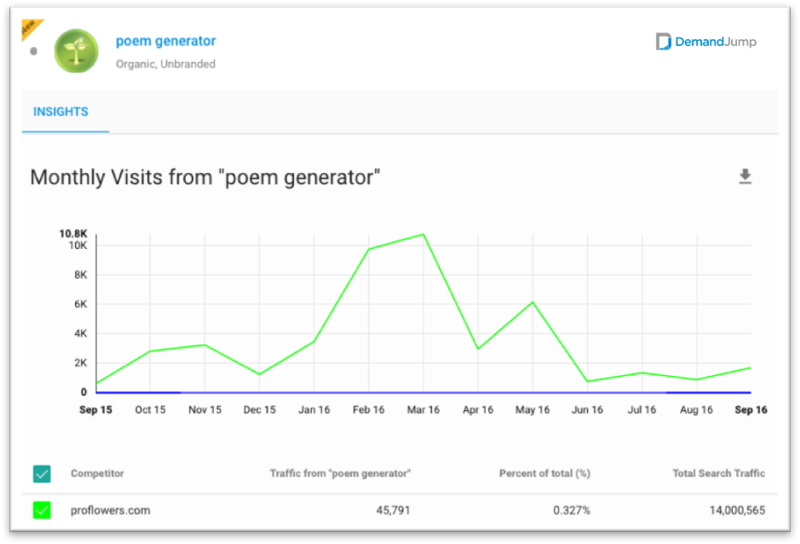 “Love Poem Generator”, “Poem Generator Love”, “Poem Line Generator”, “Poem Line Generator For Her”, and others drive up to 10K in incremental traffic to ProFlowers.com annually. Just like the other examples, DemandJump can trace these generic keywords directly back to a content marketing piece on ProFlowers’ website. 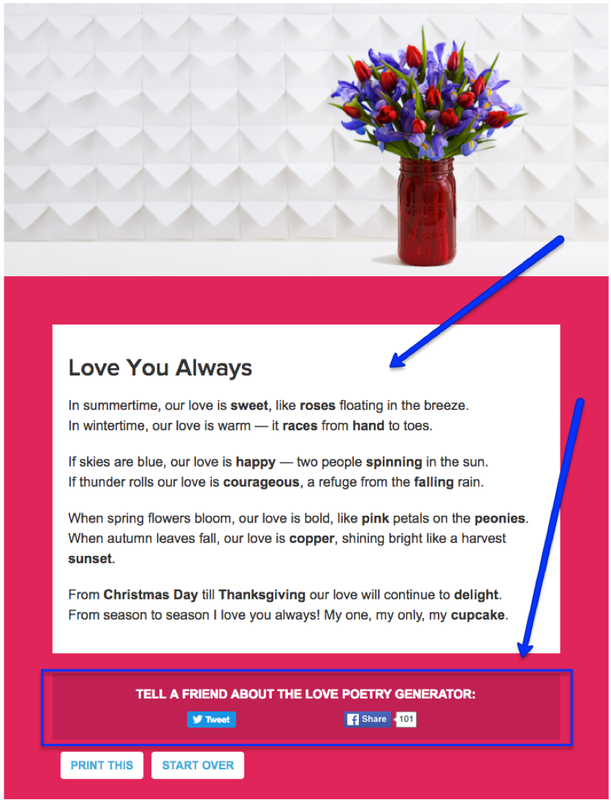 Their “Love Poetry Generator” published in October of 2015 is still driving insane traffic to the site. It’s a clever strategy that can be executed simply with some grammar rules and an online form. ProFlowers spits out a simple poem and provides easy options for customers to share the tool on Twitter and Facebook, which maximizes social amplification. In today’s world, organic search is critical to any business. It’s imperative that marketers understand consumer behavior and can truly predict how customers will search and what language they use online. If marketers can tap into the right terms, and cleverly leverage a quick content piece, relevant tool, or landing page, they can deliver a better experience for shoppers and new revenues for their brand. If you want to use these tactics to dominate organic search, focus on what the users are actually searching for. 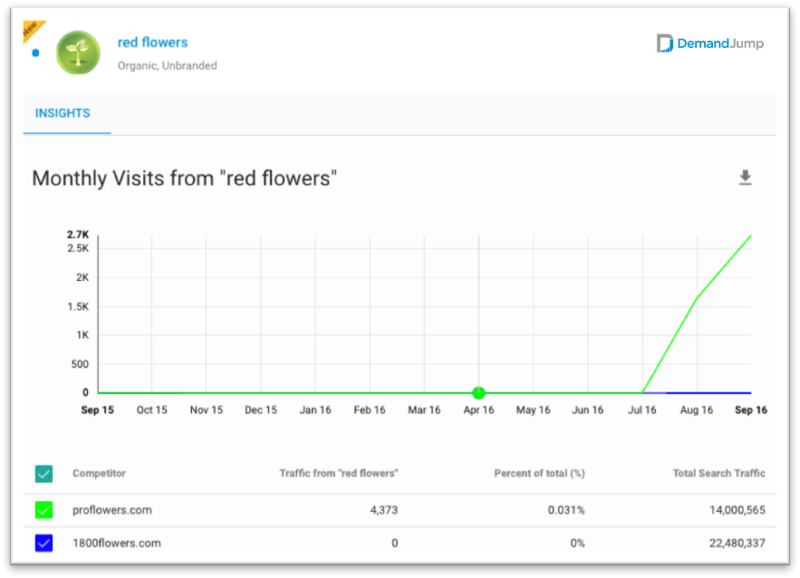 ProFlowers has proven more adept than the competition at this strategy so far, but there is still tons of room to generate more leads and capture more traffic. Think outside the flower box.